What’s not to love about fall? We get to eat turkey and pumpkin pie on Thanksgiving, give scary little trick-or-treaters candy, and best of all, experience the splendor of the leaves changing color from greens to oranges, browns and yellows. 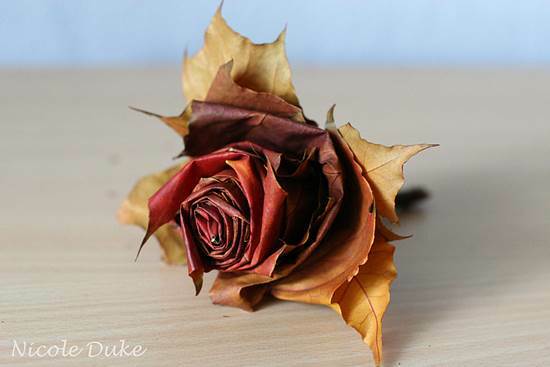 We’ve actually found an interesting and beautiful little project to incorporate the falling foliage – a maple leaf rose! The idea of using a plant to recreate another plant is what really captured our attention. 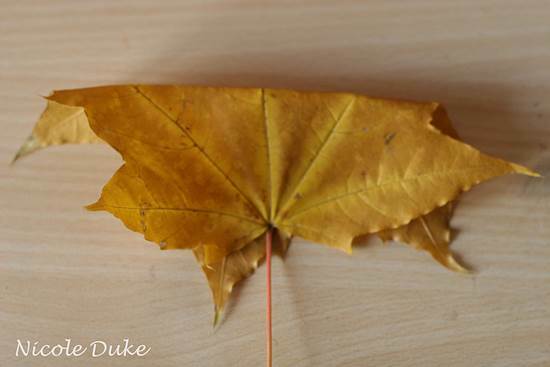 Step 1: Fold the leaf in half (from top to bottom). 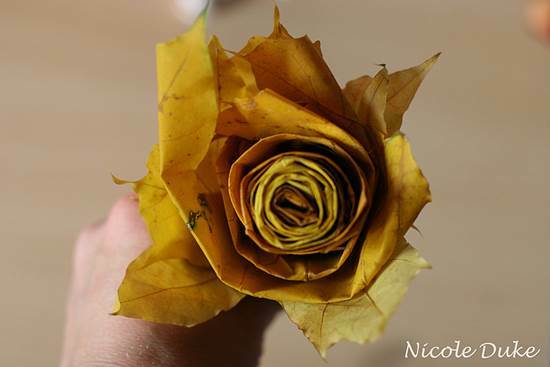 Step 2: Fold the leaf in half again, this time, from the right side to the left. 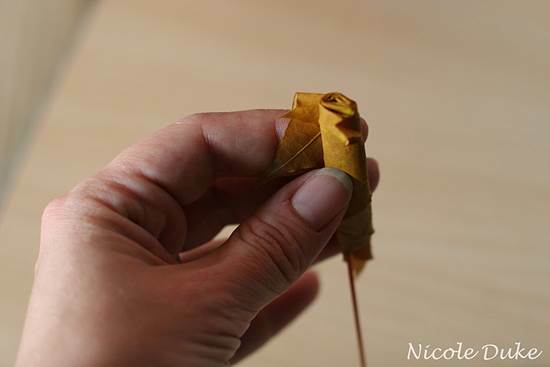 Step 3: Roll the leaf tightly from the right side to the left. 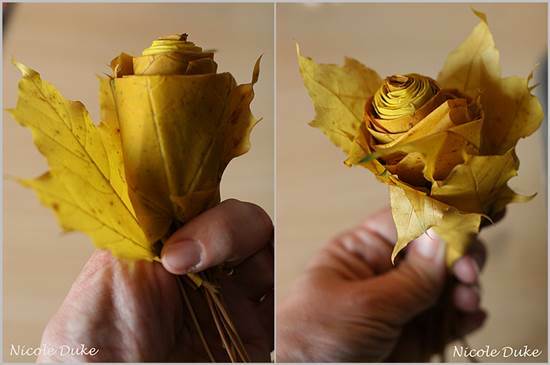 Step 4: Fold a second rose in half like in step 1 and roll it around the first leaf; repeat with a third leaf to make a big enough bud. 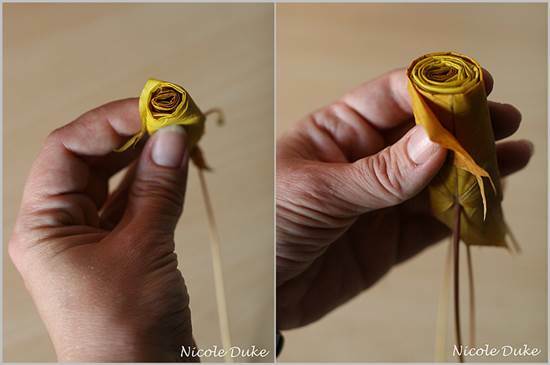 Step 5: Roll the bud in a fourth leaf (do not fold); repeat again with a fifth leaf (and as many more as you want) to create the petals. 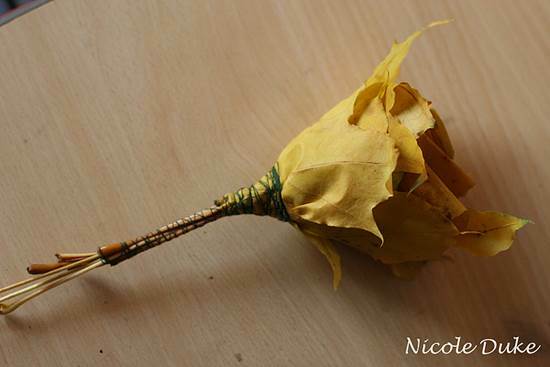 Step 6: Secure all the leaves by wrapping a string around the bottom part of the outermost rose all the way down the leaf stems to create the appearance of a single rose stem. 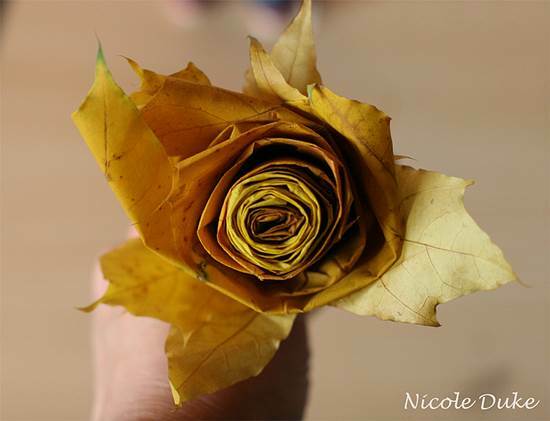 And there you have it – a creative maple leaf rose that brings the outside beauty to the inside of your home! 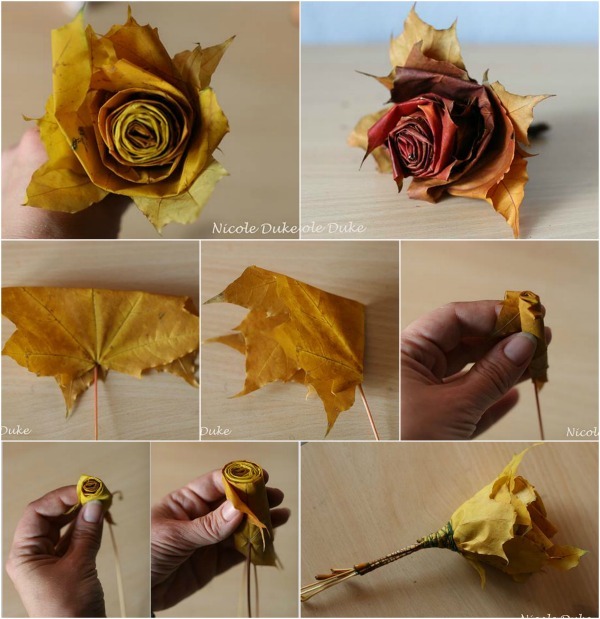 Make as many as you like of these to create a nice big fall bouquet, and make sure to use different colored leaves so that your roses exhibit real depth and variety. 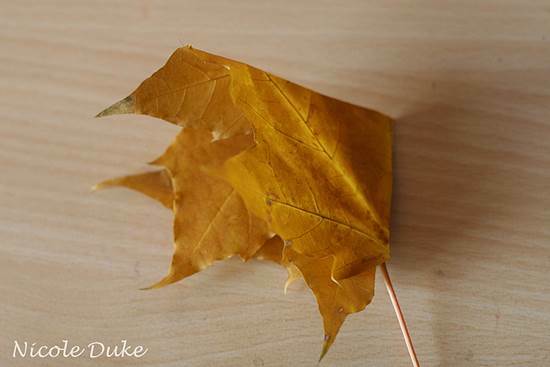 You can try similar leaves if you can’t get maple leaves. What an amazingly creative idea! It is February now but I am absolutely saving this idea for next autumn. Thank you so much for sharing.